It is said that, according to property experts, the three most important factors in determining the desirability of a property are “location, location, location”. And there is no doubt the location of your stand within the event’s floor plan can have a strong influence on attracting visitors. If you’re going big, then an island booth usually commands the best locations. For an inline exhibit space, main aisles and the end of rows are good. Or book early and gain a coveted spot at the entrance or, by the main café, or adjacent to an intersection that’s likely to be busy. The earlier you book the better as far as having your choice of the most desirable locations. It only takes seven seconds to make a first impression, according to a Harvard study of communication. When we first meet people, we make quick decisions based on their eye contact, appearance, handshake, and verbal and nonverbal cues. However, in the context of exhibitions and trade events, it’s the second impression – the follow-up – that can make the difference in terms of winning their business. You should have a strategy in place as to who will be following up show leads, how, and when and ensure it is documented. Few factors will have a stronger influence on your post-show ROI. 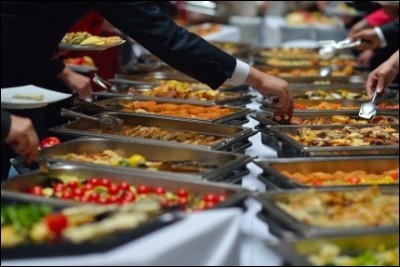 At exhibition and events, it’s often the last group – and the unhealthiest – that are most readily available within hospitality areas. It’s indisputable that hospitality is increasingly a strong attraction on stands and you may gain a competitive advantage by promoting the fact you offer a range of healthy choices to suit all tastes. Imagine counting sheep if you can’t get to sleep is a common piece of advice. It apparently originates from worried shepherds in the past counting their herd during the night and often dropping off to sleep during the process. In contrast, counting people is something that should keep you very much awake. Footfall is one of the important metrics when calculating the ROI of your exhibition activity. There are a variety of types of counters including thermal, video, and beam technology. The right solution for you will depend on the layout of your stand and your budget. But don’t fall asleep on the topic! One definition of “fulfilment” is the achievement of something desired, promised, or predicted. In the context of exhibitions, fulfilment describes the process of completing the build of your stand, delivering it, and installing the complete structure at the event on time and to your satisfaction. Unfortunately, it’s also when things can go horribly wrong, whether it’s poor workmanship or missing the important deadlines. You should satisfy yourself your stand supplier has the track record and expertise to successfully deliver fulfilment and seek a guarantee for peace of mind. What is the difference between a couch and a sofa? According to the award-winning interior designer Joseph Pubillones, “couches can be used for reclining or laying upon”. And a couch would “best be used to describe an upholstered piece in a family room”. While the more formal term sofa “is appropriate for the upholstered piece in the living room”. Not everyone would agree, but there’s no doubt that furniture makes exhibition stands more welcoming and comfortable if space allows. A range of furniture can be hired and your selection will be based on what is best suited to the overall design of your exhibition stand; with couches and sofas not usually being the first choice.